Most introductory textbooks in theology see their primary task as explaining Christian doctrines that no one quite understands anymore. While this is one of theology's jobs, it is by no means the only, nor even the most important, one. Theology has also been called to change the world, to help people connect deeply rooted beliefs about the world's source and goal to questions of personal meaning and communal thriving. Theology is here to help us make sense of the complex, flawed world into which we've been thrust and to assist us in our attempt to love our neighbors and live toward the common good. 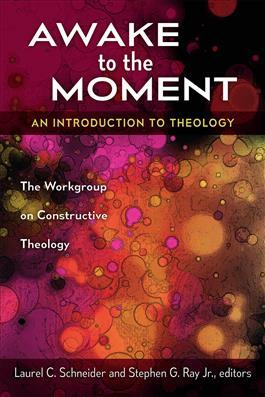 For more than forty years, the Workgroup on Constructive Theology has brought the liberal and liberationist theological traditions into creative encounter with lived human experience. In this introduction to the methods and tasks of theology, they invite a new generation of readers, many who will have little or no exposure to Christian doctrine, to see theology as a partner in the struggle for a better world. They demonstrate how theological ideas have "legs," playing themselves out not only in religious communities but in the public square as well. Theology, the authors tell us, is constructive when it joins in God's work of building human lives and human societies. Readers will learn to think about all of life in light of their religious commitments and to see theology as an essential tool for a life well lived. "The Workgroup on Constructive Theology was founded over forty years ago. It has produced several books and gone through about three generations of members. The current book is a product of its present membership. It offers an unconventional introduction to theology by focusing on epistemology (knowing), traditions (remembering and belonging), and world-making (acting and becoming). It does so by engaging various aspects of contemporary culture (including pop culture) and current religious practices. It emphasizes diversity, justice, prophetic witness, embodiment, connection, and construction (including a concept of God). A truly collaborative project, this book helps set the context for rethinking Christian doctrine today." "An impressive accomplishment: a truly readable introduction to 'constructive theology' by twenty-eight authors who, with admirable modesty, work collaboratively. Its title, Awake to the Moment, captures the freshness and clarity of this clarion call for responsible, caring theology in our perilous time of climate change and financial inequality."